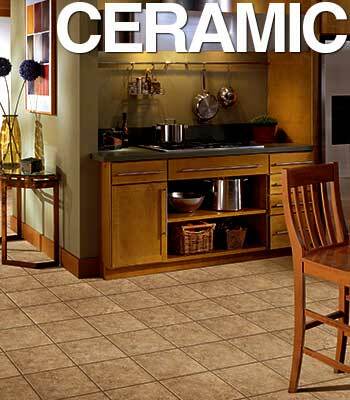 Ceramic and Porcelain Tile flooring in Leesburg and surrounding areas. Reedy Flooring in Leesburg offers tile flooring in all styles and designs. View some of our featured product lines here. Choose from our popular large format selection measuring 14″x14″ or choose from our mosaic selection (small format) measuring 2″x2″. At Reedy Flooring the vast selection of design options allow you to create a beautifully unique look, while still maintaining practicality. Ceramic and porcelain flooring is suitable for both casual and formal rooms in your home. From contemporary to rustic styles to the range of shade and texture variations, Reedy Flooring specialized designers will help you find the tile that’s right for you! If you’re shopping for tile flooring in the Leesburg area, come see us. Porcelain tile is a ceramic made of a very fine mixture of clays created by firing at extremely high temperatures. This results in a very dense tile that will resist moisture. This type of flooring adds elegance to your home while providing high durability and resistance to stains and scratches. 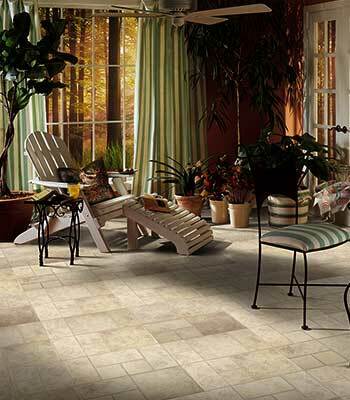 Porcelain tile is a very practical choice for the high-traffic areas in your home. Natural stone offers a flooring option that provides a unique style to complement the rest of your home. Reedy Flooring offers a stunning line of natural stone flooring that will allow you to establish the ambiance you desire while providing the practicality that you need and expect from your flooring application. Granite is a very hard and durable type of flooring. Speckled color variations in this stone create unique design elements to add to the beauty of your home. Limestone is a smooth surface and varies in hardness. This resilient type of stone comes in a variety of colors ranging from creamy tones to gray and brown. Limestone flooring is a great way to add elegance to any room in your home. This natural stone’s elegance can provide a room with the sophistication you desire. It offers an almost limitless variety of backgrounds, colors and tones to choose from. Marble flooring can be a subtle or bold addition to any casual or formal room in your home. Slate is a fine-grained stone that splits along natural grains and crevices, creating a textured surface. This flooring is often seen in color variations using black, gray and green tones. Slate flooring is a great complement to the beauty of your home. Serving Leesburg, Grand Island, Lady Lake, The Villages, Tavares, Fruitland Park, Groveland, Yalaha, and more.